San Francisco is recognized as the leading technology center within the United States. While the city is home to large well-known companies such as Google, Twitter, Facebook and FitBit, mid-sized and startup companies are located in the area as well. There are many factors as to why this city has grown into a huge technology center. The geographical location of the city is in the center of the Bay Area, which makes everything easily accessible. San Francisco offers an abundance of social factors, which are important pertaining to an urban lifestyle and the opportunity to network with other companies. With all of the benefits San Francisco offers to companies, the future of business opportunities for this urban area looks promising. The San Francisco Bay Area Planning and Urban Research Association (SPUR) is a group who dedicates their time providing research information to the public about planning activities and occurring issues in San Francisco. The SPUR organization analyzed information about San Francisco’s economy to determine its potential growth. By collecting and analyzing information, researchers determined that San Francisco’s economy is supposed to grow the quickest out of all of the largest cities in the U.S. Particularly, a huge effect of the city’s intended expansion is due to the increasing technology sector. This division is responsible for approximately 27% of the city’s overall job increase over the previous years. Within the technology sector in 2016, the amount of money to be spent on new equipment and software programs is expected to rise by 6.6 %. There are many benefits that are offered to companies and employees by establishing an office in San Francisco. The location of an office is a significant aspect for the company as well as their employees. Companies have decided to move to an area where many employees can live so they have shorter commutes and don’t have to deal with the issue of traffic. Public transportation is also available in the city which takes away the conflict of parking, especially in urban areas. Many businesses believe that settling in San Francisco will increase the desire for people to work for their company. Establishing a business in San Francisco gives employees a unique experience. They have the opportunity to experience a city lifestyle by living and working in a metropolitan area. The city of San Francisco is an area where many venture capitalists have been known to invest money in businesses. Some of the venture capital firms that are located in San Francisco are the Next World Capital and Rothenberg Ventures. Due to the abundance of venture capital funding in the city, many companies, especially startups, have an incentive to start their business in the surrounding area. In 2014, venture capitalists spent $26.8 billion on investing in companies within California. Out of the $26.8 billion, 41% of the money alone went to 584 businesses situated in San Francisco. From looking at these statistics, investments play a strong role in the success of many companies located in San Francisco. Business incubators are beneficial for startups and new companies. They offer companies guidance on developing and expanding their business. Two large areas where business incubators are increasing is in Berkeley, California and Stanford, California. Free Ventures is a student incubator within UC Berkeley. This incubator is unique because it was created by university students and is intended to assist students in developing and pursuing their business goals. Free Ventures focuses on providing a program for students to express their creative ideas and share their innovations with the public. Sam Kirschner and Jeremy Fiance started this company to provide the correct tools for startups because they realized that there weren’t a lot of opportunities available for new companies created by students. StartX is a business incubator built in 2011 by Cameron Teitelman who is a graduate of Stanford University. Once startups are accepted into the program, they are introduced to guest speakers, networking events and informational workshops. In 2012, Teitelman realized that activities within the medical industry are distinctive and follow a different timeline for product development. Due to this reason, StartX Med was created, which provides services specifically for medical companies. StartX and StartX Med provide a great opportunity for startups to receive insight on how to develop their business and gain exposure to funding. As previously indicated, these new incubator startups are eligible for up to $250,000 per year in payroll R&D tax credits. The leading developments for the technology industry consist of various innovations, such as social media and mobile applications , cloud software, clean technology, medical research, biotechnology and computer systems design. Many tech companies are looking to hire programmers, developers, designers, engineers and researchers to assist in developing and creating new products for these particular innovations. Surrounding universities play a role in the expansion of the technology industry. For example, the University of California, San Francisco has increased its research in the field of medicine, which has impacted the growth of biotechnology companies. The process of hiring interns or recent graduates from nearby universities makes the hiring process easier for companies. Companies know that there is an abundance of students from universities who are eager and available to work. From 2008-2013, statistics show that the technology sector alone was responsible for 25,500 (45%) of new jobs in San Francisco which resulted in approximately a 20% job growth rate. In San Francisco, the average salary for workers is $91,000 and specifically in the tech industry the average salary is around $160,000. There is a high demand for employees who have specialized skills and can perform the tasks required for these particular jobs. The unemployment rate in San Francisco’s tech industry is at a low percentage rate due to the increase in job demand. Biotechnology is a part of the technology industry that has established a solid ground within San Francisco. The city has one of the largest biotech hubs within the United States. A reason for the increasing expansion of biotechnology in the area is due to venture capitalists. Some venture capitalists are switching their investments to fund biotechnology developments because it serves a purpose to help individuals and can change their lives. Another advantage of switching to invest in biotech companies is the decrease in costs for lab expenses and money required for certain technology. The overall outcome for investors who choose to invest in biotechnology is they now have a lower risk of losing money compared to investing in biotechnology in the past. Sanford I. Weill and his wife, Joan, have recently donated a significant amount of money to the University of California, San Francisco. Specifically, $185 million was given to the university to build a new neuroscience research center. The Weill’s believe that further research is important for the advancement in neuroscience. The brain is the most complicated part of the human body and additional studies will allow researchers to learn more about the brain and how it functions. With increased knowledge about the brain there is a better chance of developing cures for diseases, such as Parkinson’s . Innovations in computer systems have always been a driving force and will continue to be in the future. Information from the Bureau of Labor Statistics determined that the overall jobs for computer and information researchers will likely increase by 15% from 2012-2022. In the upcoming years, San Francisco will most likely see a projected increase in companies involved with computer science due to a recent action that was passed by the Board of Education. A unanimous vote occurred which approved the education of computer science for all students starting from Pre-K to Grade 12. The city agreed on this decision because they want to provide the opportunity for kids and teens to learn about computer science, since the industry is popular in the area. Some of the funding for the proposed computer science programs will be sponsored by a division of Salesforce, The Salesforce Foundation. The concept of having clean energy is significant in the city of San Francisco. Specific clean energy practices that are utilized in the Bay Area are advanced transportation in relation to electric vehicles (EVs), energy storage and energy efficiency. There is a high amount of activity in San Francisco dedicated to designing and manufacturing electric vehicles as well as promoting the usage of these types of vehicles. Since 2008, the metropolitan area has been implementing ChargePoint stations for its city car sharing program. During 2013, the city offered free charging for electric vehicle users to encourage individuals to purchase and drive EVs. Out of all the regions in California, the Bay Area is the second to largest region that utilizes zero emission vehicles. Driving an electric vehicle gives users an efficient and cheaper alternative for transportation and creates a healthier environment for residents. With the high usage of these vehicles comes the demand for developments of charging stations and more efficient electric vehicles. 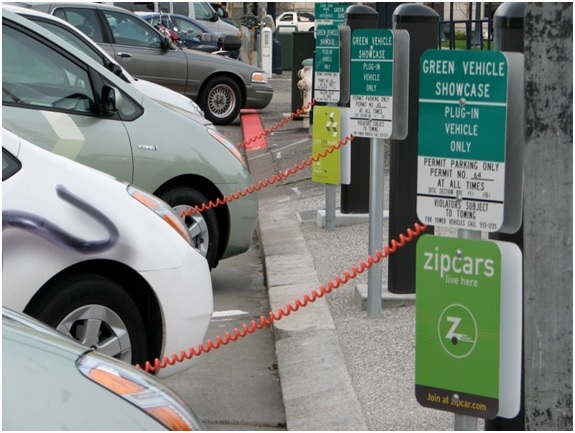 By 2020, it is the Bay Area’s goal to have 100,000 electric vehicles in use for transportation. Within this area are several automobile R&D facilities that focus on creating newer and better innovations for electric vehicles. For over 20 years, companies in California have taken advantage of the state's Research and Development Credit, one of the most beneficial in the country. The non-refundable credit is equal to 15% of the incremental qualified research expenses incurred in the state over the calculated base amount, plus 24% of the basic research payments over the base amount paid to independent research institutions and universities. Similar to the federal credit, eligible costs include wages, supplies, testing expenses, contractor research expenses, and patent related expenses. Unused research credits may be carried forward indefinitely, making it attractive to early stage companies that are not yet profitable. 1. Qualify as a business under IRC §174. 2. Be undertaken to discover information that is technological in nature. 3. Be undertaken to discover information intended to be useful to develop a new or improved business component of the taxpayer. 4. Substantially all (at least 80%) of research activities involve a process of experimentation. The California Legislative Analyst's Office has projected that the state credit usage will continue to grow and exceed $3 billion in 2020. 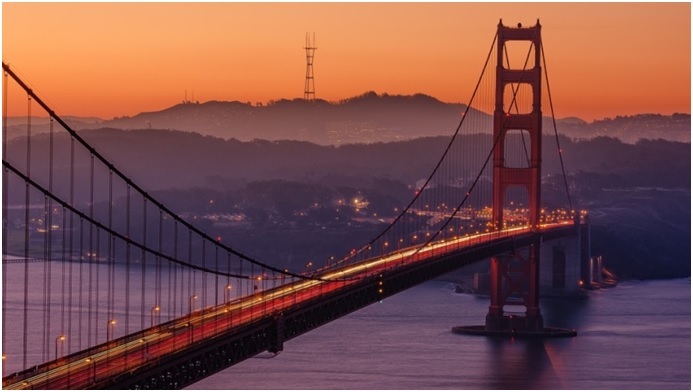 San Francisco has become a major metropolitan location that supports many companies who are constantly involved with developing new products and creating new ideas. Companies can take advantage of federal R&D tax credits as well as California’s state R&D tax credit. The innovative activity taken on by the numerous businesses in this area make them eligible to receive these R&D tax credits.